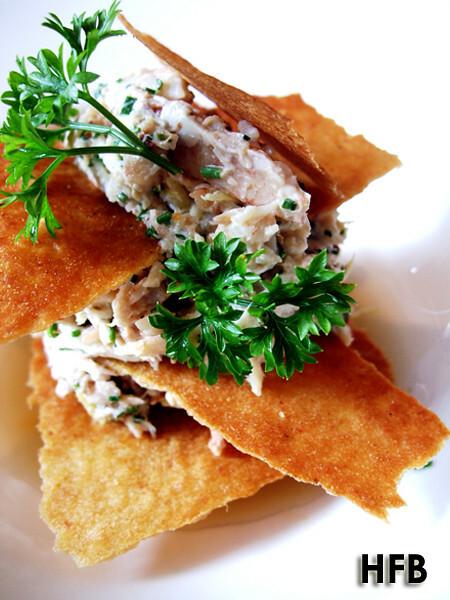 Brasserie Wolf, a casual French bistro located by the Singapore River at The Pier at Robertson, has been re-launched with new interiors and a brand new menu. And with it comes a new Head Chef at helm - Chef Claudio Sandri. 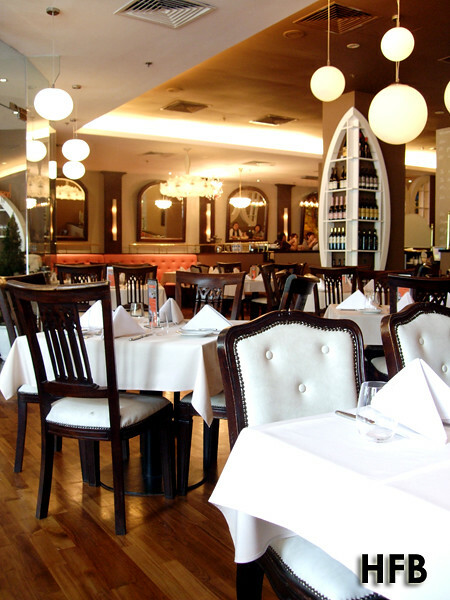 Truth to be told, HFB frequents that area fairly regularly and Brasserie Wolf has always been one of those places that he passed by repeatedly and secretly wished he was dining inside. And with its new furbishing, it piqued his curiosity even more. So pardon him that he jumped at the opportunity when he was contacted by Ate Consulting to do a media tasting. A bread basket was presented to him and already he was sold! 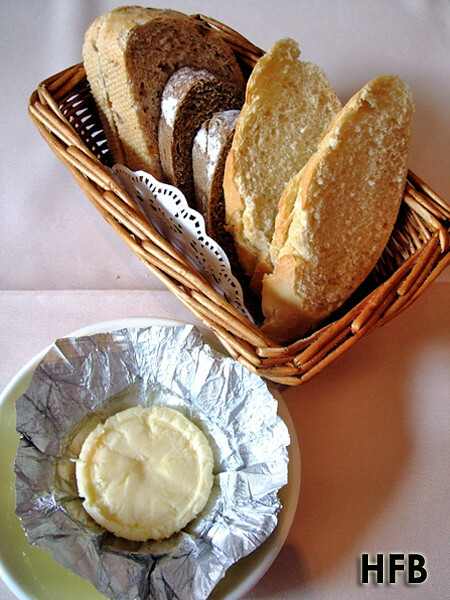 You see, Beurre Echire was served along with the bread and HFB knows the butter is quite the premium brand (stepped aside Président!). Ok, he wasn't gonna deny that he enjoyed the butter more than the bread. Yums. 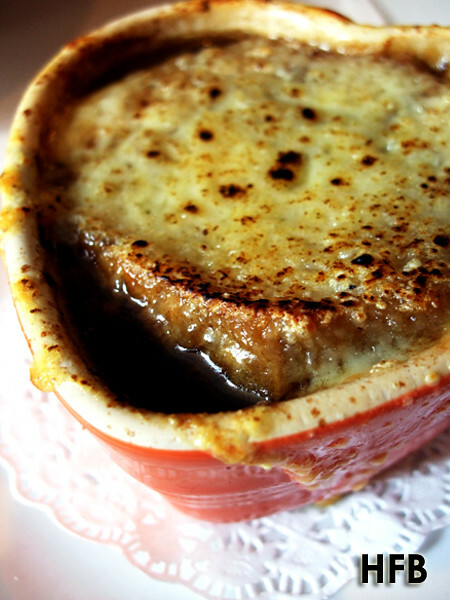 The rustic looking Traditional French Onion Soup, an old favourite among its fan, came with the delightfully rich Comte Cheese. This was definitely one of the better versions HFB had tasted. The soup was really flavourful, yet light on the aftertaste. And along with the Toast and the cheese, it was a flawless harmony. HFB totally enjoyed it. Having scanned quickly the menu prior, HFB was looking forward to the Fresh Artichoke Heart with Salmon Mousse & Poached Egg the most, and it certainly didn’t disappoint. 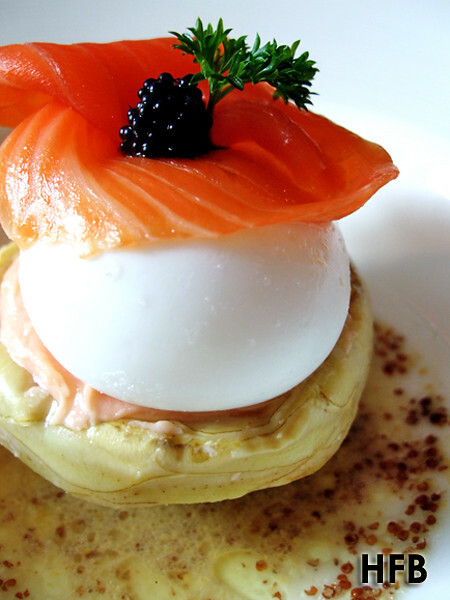 The combination might seem strange initially, but extraordinarily, the salty salmon mousse and smoked salmon complemented the tang of the artichoke heart, while the runny egg yolk of the poached egg lent a velvety richness to the vinaigrette. This was really one great appetiser that helped open HFB’s palate for the rest of the meal. With no fault of the Crab Claw Salad with Honey Dressing & Croutons, HFB just didn’t take to it. Like he mentioned, the dish did no wrong, it fact it was pretty fine – just that the previous appetisers stole away its glow. 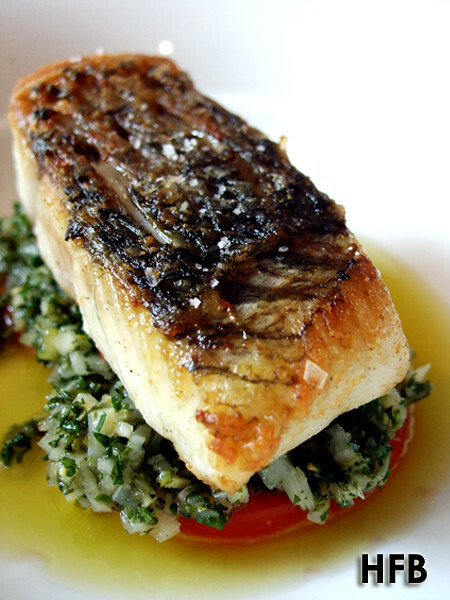 For mains, HFB started with the Pan Seared Barramundi Fillet with Asparagus, Onion, Jalapeno Salsa & Heirloom Tomatoes. The doneness for the fish was excellent executed with its crisp exterior, but despite HFB being a fan of barramundi, he is just not a fan of jalapeno-watever - sorry about it! 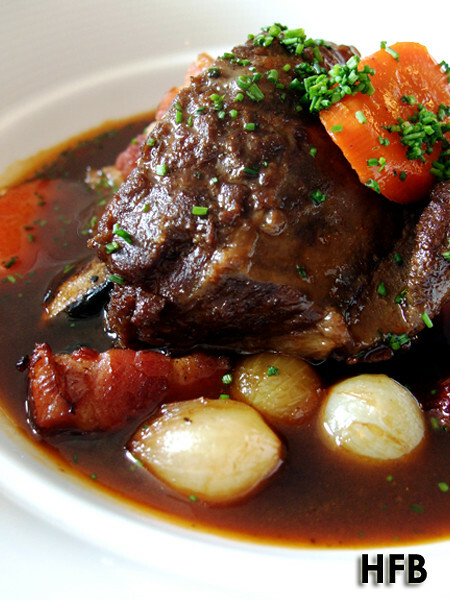 Speaking of which, the Traditional Beef Bourguignon – served with bacon, mushroom, baby onions and carrots – was smashingly delightful! Robust with flavours and fork-tender, this was the heartiest dish among all and HFB can indulge in it anytime of the day. Brasserie Wolf is one out of a handful of food establishments that uses the Josper Charcoal Oven – and with it, enhanced the char-induced flavour profile of the foods being cooked – and the Whole Roasted Spatchcock Chicken is one of them. 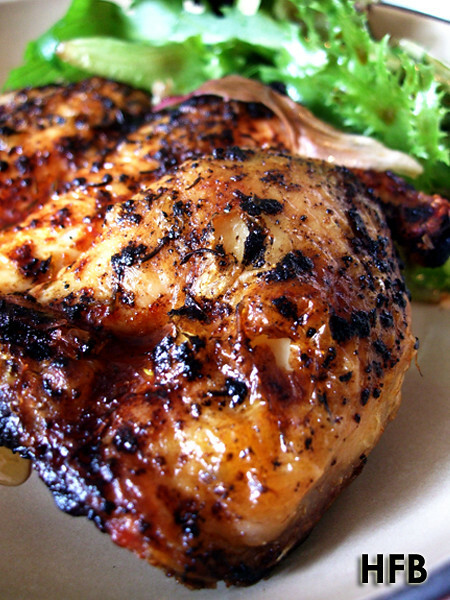 The aroma and taste is so awesome, unlike any run of the mill grill food that’s out there. You got to try it to believe it! 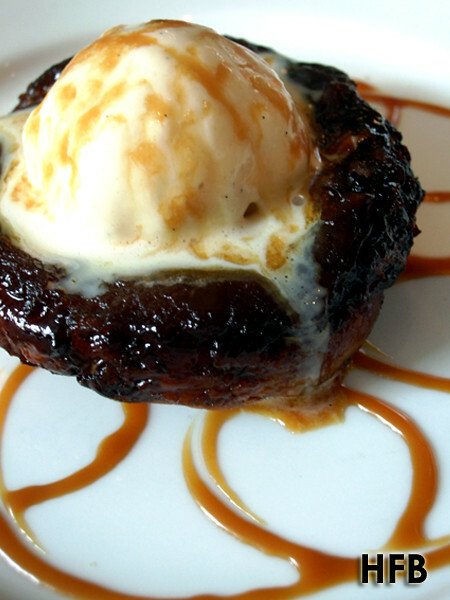 One of French signature traditional desserts would be that of the Apple Tart Tartin, served with Vanilla Ice Cream. HFB sampled various versions, and one thing that always upset him is the over-caramelisation of the tart – which although Brasserie Wolf’s version wasn’t really evident due to the ice cream, there was still a slight hint of bitterness that HFB find objectionable. 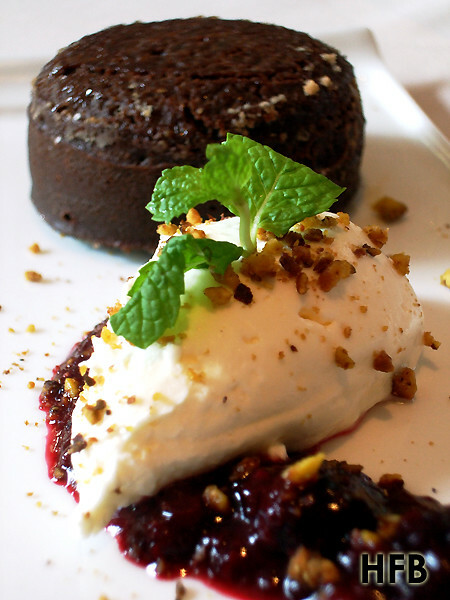 HFB loves Valronha chocolate and he definitely seeks enjoyment from pistachio – if only their Valronha Warm Pistachio Chocolate Cake was molten, that would be an icing on the cake! The Floating Island, Salted Caramel, as good as it looks, was a picturesque mess once the initial spoon out. The taste was really good, but HFB just did not like the visual. Thankfully, the Homemade Lemon Tart with Crème Fraiche did not disappoint. 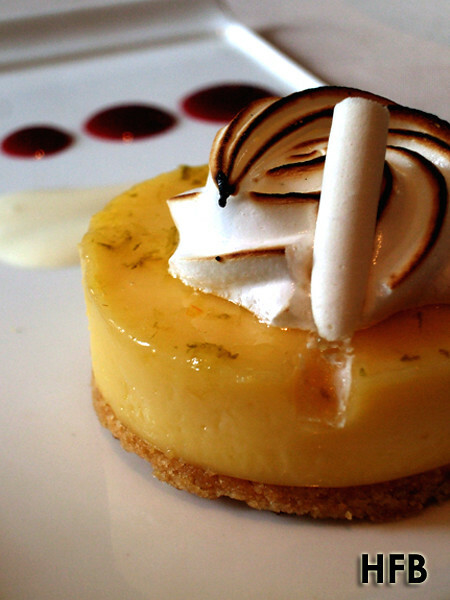 HFB believed there was a perfect harmony between the acidity and the sweetness of the tart. A perfect palate cleanser after a heavy meal and one with a stamp of approval from HFB, considering he is not a big fan of tangy dessert. Magnifique! 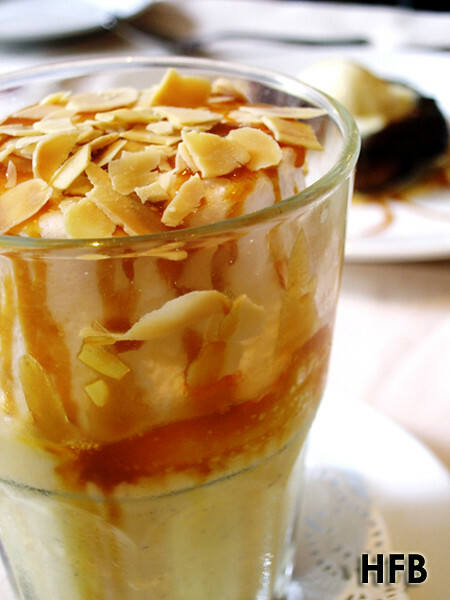 HFB truly enjoyed this dessert. Disclaimer: No ratings would be given, as this is an invited taste test. 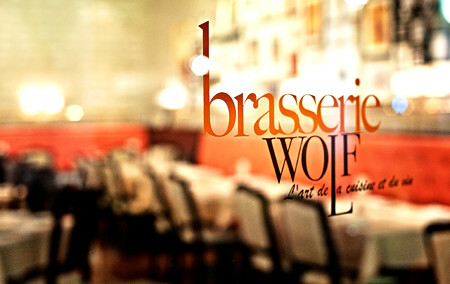 HFB would also like to take this opportunity to thank Brasserie Wolf and Sihui from Ate Consulting for their hospitality. Wah ur photos very nice leh. Did u change camera? HAHA. No la, the natural lighting was really good that day as my table was next to the glass panel. Still using my trusty point & shoot fuji finepix.